If you want to truly show your love for cheetah and/or leopard by contributing to their welfare? Know exactly what you sponsor and what your money is used for? Then maybe you should read on here and find out what our “Sponsor Space” campaign 2015 is all about. We in Wild Cats World have only the welfare of our ambassadors and their relatives in the wild at heart, we already give them the best that is in our power but of course we want so much more for them. Yet, funding is the only problem that is stopping us here. We would love to keep on expanding size of the enclosures of the leopards and the cheetahcamps as fast as possible of course. 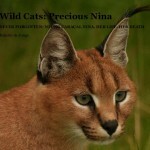 Of course we know all of you, wild cats enthusiasts, would love to see this happening too and for sure you want to make a contribution, not knowing how, and if your money is spent like you hope it would be. Sadly lots of orgs that are fundraising don’t spend the money directly on the animals or projects, but support human interest with that first of all. Not Wild Cats World. 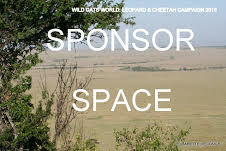 So….in this “Sponsor Space” campaign, we invite you all who want to really make a difference for our leopardambassadors Feline, Felix, Felicia and Félipe, or cheetah ambassadors Speedy, Spiky and Sunny (and neighbouring friends), and indirectly for their species, to sponsor more space for them. You can sponsor like say 100 m2 for the leopards, or 0,5 HA for the cheetahs. Used for fencing (and if possible enrichment). The more people join us the more space they will get…no limits to that, but to set a goal what we like to achieve at least: 900 m2 for the leopards (extension to current connected enclosures) and 5 HA (extension to their current huge camps) for the cheetahs. What’s in it for you? You get an exact quote how much your sponsored part will cost, your name will be on the “sponsor fence” of the enclosure/camp you sponsor with exact mention of how much you sponsored as well as on the WCW website and social media pages, you will get a full detailed report at the end about the construction and extension of the camps also (partly) thanks to your contribution, you are welcome any time at our project to see for yourself if we kept word (free entrance & photo opportunity for the sponsors). For the people who really want to sponsor big time, we will offer a free stay for a few days at our project to see what you sponsored and to meet all our ambassadorcats, as well as the Wild Cats World team. All your supportive ideas for enrichment inside the enclosures/camps (as well as the funding for it) are of course welcome too. No limits to this offer for you all to be able to do something constructive for the leopards and/or cheetahs (if successful another campaign will be started in future for the smaller ambassadors in our project). People who are genuinely interested in supporting and funding please contact the Wild Cats World Founder/Director, Babette de Jonge, by e-mail: info@wildcatsmagazine.nl with questions and offers! 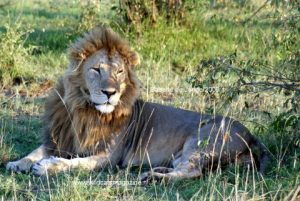 Madame X offered to sponsor 100 HA for the (rescued) Canned Hunting lions, how far will we all get together?? ?